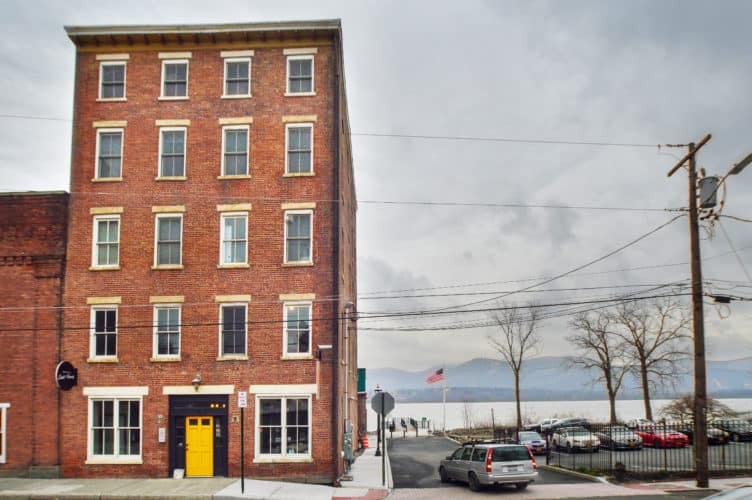 Spectacular Hudson River front business location at 12 Front Street in Newburgh, NY is available for long-term lease! This well designed and utilitarian storefront is set at the south end of Newburgh’s promenade on the Hudson River. Newburgh, NY, is just 60 miles North of NYC. This commercial real estate space is literally a two minutes walk to the NY Waterway ferry launch. The ferry spans the Hudson River between Beacon Station (Metro North train line) and Newburgh, NY. The property offers more than 2,000 square feet of open space, with a small office/meeting room and an ADA compliant bathroom. 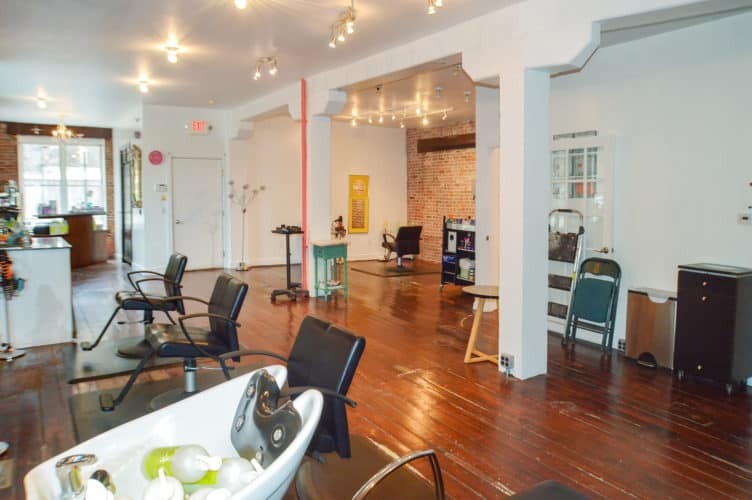 This impeccably maintained and stylish space recently was used as a high-end hair salon; it can be converted to use as a retail, bar/restaurant, fitness or physical therapy space. Neighboring restaurants and businesses, and a waterfront location with phenomenal views, bring a lot of foot traffic, seasonal boating traffic and nightlife. 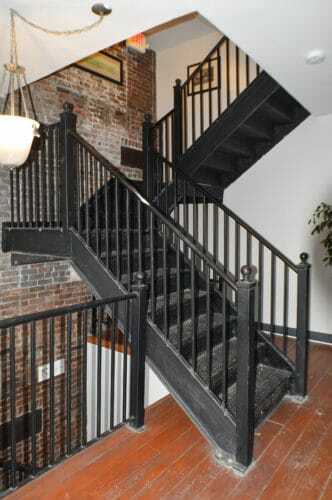 A live-work option is available as there is a separate loft living space with river views upstairs available for lease. Contact Sarah B Hooff the listing agent on the property to see a showing.